Now, I am always grateful to learn from others! 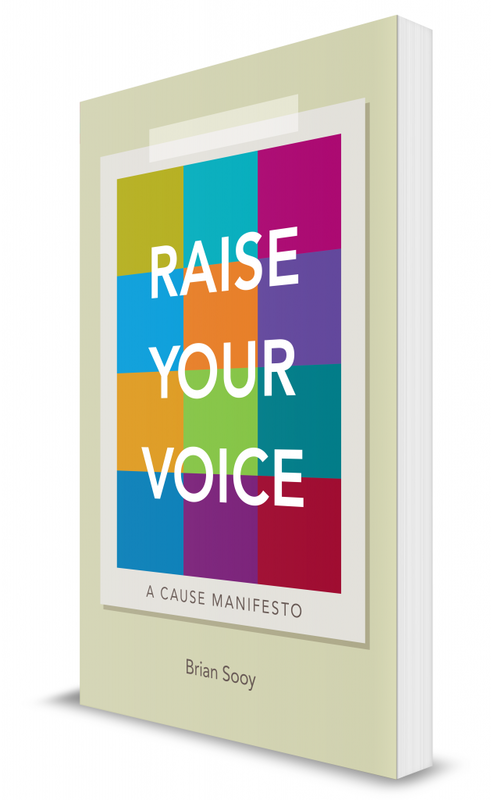 I recently read a new book, by Brian Sooy, called Raise Your Voice. If you have not had a chance to read it – I highly recommend it. As I was meeting with my friend today at lunch I was able to share with her some of the ideas I had just picked up from Brian’s book, great ideas, that not only helped me, but now has helped her as she is navigating through some of her struggles with her small business. One of those ideas I shared today from this book was the reminder for us to have ONE voice in our companies or non-profits for all to hear….one clear voice. This is such a simple idea, and yet as we grow, can be so hard to maintain. “As iron sharpens iron, so one man sharpens another”. Learning is something we do as everyday leaders. We read, we learn, we share, and we help each other. What are you reading today? Find a good book. And add to your list, Raise Your Voice, by Brian Sooy. Everyday leaders, intentionally learn to be our best selves, and to make a difference in the lives of those around us! My Dad grew up on a farm and then became a farmer as an adult. It is what he knew – the good and the bad. As a kid, it was a great life. Looking back now, as a grown adult, I realize that it wasn’t always such an easy life for my parents. Easy doesn’t make us who we are. As Father’s Day rolls around I am find myself more thankful each year for all that I had in my life because of my Dad. My Dad is 84 years. When I call and ask how he is, I can almost see the twinkle in his eyes, as he responds: “Can’t keep an old dog down”. 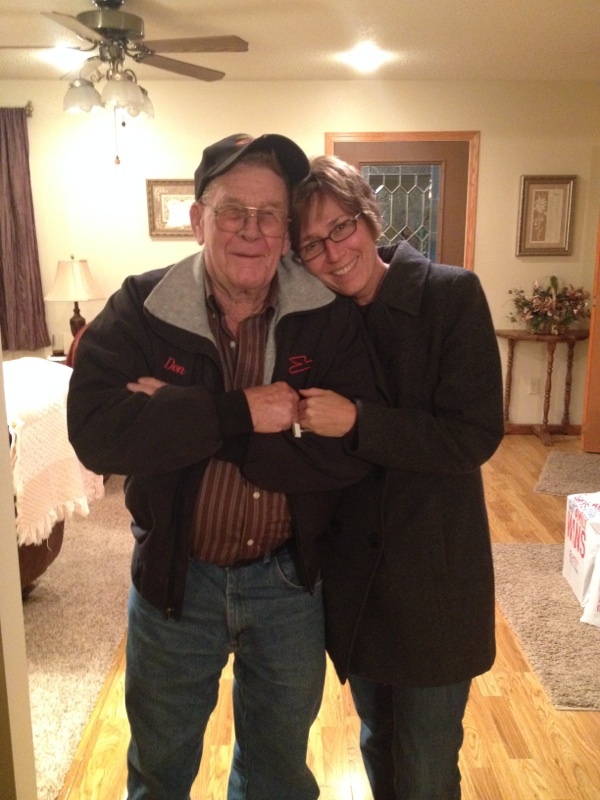 My Dad has weathered the storms of life, some of them easy, some of the hard. He has been married to my mother for 65 plus years, now has something like a total of 70 kids, their spouses, grandkids and great grandkids to call his own. He has worked hard and has the years behind him to retire now and to do all the things he wants to do. My Dad is an everyday leader. As long as I can remember, no matter how much was on the agenda for the day, if a neighbor stopped by for coffee, he made the time for them. If someone was in need, he was there. Somehow, even though our closest neighbors were a half mile down the road he always seemed to know when there was a problem. In the midst of life, he found time to be involved in the community. And, he is still doing that today. If there are things to be done, and people who need help, and he is still able to do it, you will find him there. My Dad was not a leader by position, nor did he have a lot of degrees behind his name. I am thankful for my Dad and for all he has modeled to me. Whether you had a Father or another person who has influenced your life – take the time to thank them today. The best gift we can gift those who have made a difference in our lives is to life differently ourselves. 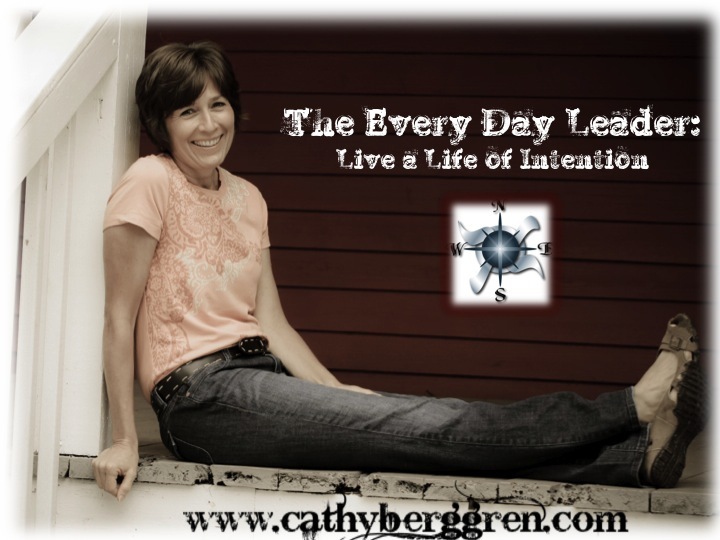 It’s what Everyday Leaders Do – Live Differently, Making a Difference Each Day! The EveryDay Leader: Dare to See Differently! As I sat around the circle listening to the stories of the men and women in this group, I begin to wonder exactly what I could offer them. I was there to share with them about finding purpose in life and the value of volunteering. These men and women had walked a journey I couldn’t even pretend to understand. 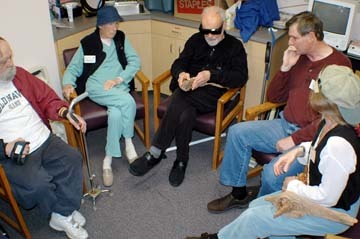 They were all totally blind, legally blind or were on the way to losing their sight. As I begin to share, I was reminded that no matter what our circumstances…we all have a choice. But first, we must see it differently. No matter what our circumstances, we must look for the good in it. No matter what our circumstances, we choose to have a grateful attitude. No matter what our circumstance, we find purpose in it. No matter what our circumstance, we choose to see it differently. This group of men and woman inspired me as they shared their stories. They challenged me as they talked about caring for others, even in the midst of trying to cope with their own lives and their own pain. How are you seeing things these days? Dare to see it differently. It’s what everyday leaders do, knowing that when they do they are making a difference in the lives of others. Remember the days of playing as a kid? 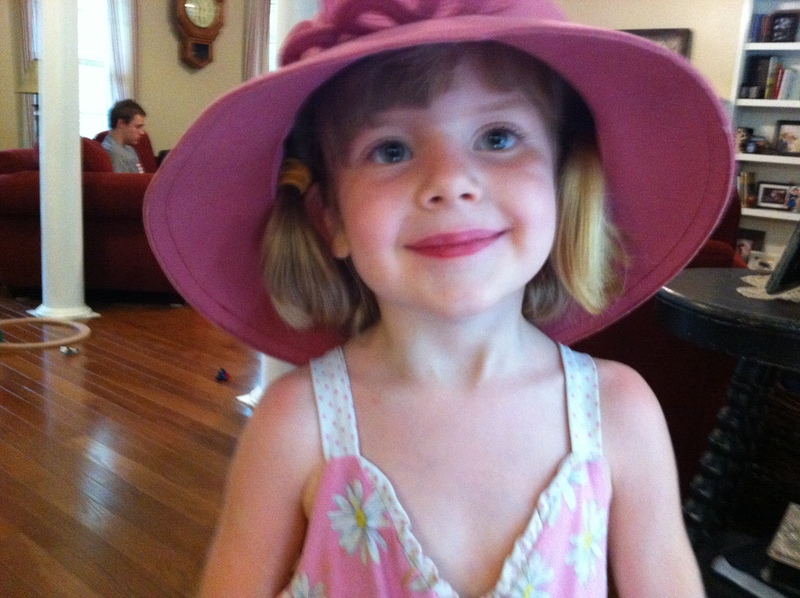 I love watching my grandkids play dress up. There is no limit to their imagination! If they choose to put five pony tails in their hair, add a pink hat and wear a red dress they do. They can sing and dance and be the star. They don’t worry about who is watching. They don’t worry if things aren’t just right. It doesn’t matter if the clothes don’t match. They are not worried about who is watching and what they might think. They are simply enjoying the day. Enjoying the time. Enjoying who they are and how God made them. When was the last time that you could simply enjoy being that person? The person that doesn’t have to worry about if things are just right. The person that doesn’t have to worry if your clothes are matching or the latest style. The person that doesn’t have to worry if you measure up. Or, if you have done all the right things. Or maybe, who is watching. When was the last time you could just be yourself, relax, smile and embrace the moments? Everyday leaders recognize that to influence those around us, we must embrace who we are and how God made. We begin to understand that we don’t have to spend our time trying to measure up, to be someone we are not, rather we are better when are who we are ourselves. It is who we are that really matters! Not what others think or expect! Take some time. Know who you are and embrace it. Allow others to see the REAL you. Knowing that as you do, as you are intentionally living an authentic life without pretense, you are modeling this to others. You are making a difference in the lives of others around you! Simply Be Who You Are! I spent a couple of days at the beach not long ago. There is just nothing quite like the sound of the waves, the sand between your toes and the peace I feel when I look at across the water. As I walked along the beach noticing the shells scattered on the sand I walked by several shells that seemed to be all “stuck” together. You may have noticed them too, but most likely walked right by them. I finally stopped and picked one up. The clump wasn’t all that pretty. The individual shells were so much nicer. Yet, as I looked at the clump of shells there was something about it that made me think about us as people. I was at the beach to take a little time away. I had been feeling the weight of life issues, family changes, and the pressures of work all weighing me down. 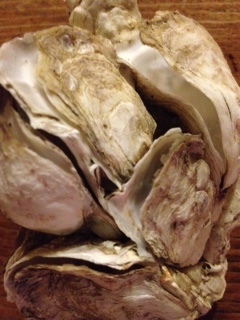 I realized that my life was beginning to look like that clump of shells. I was carrying around the weight of all kinds of things and letting it weigh me down. As much as I thought I was managing…. The deadlines from work stuck with me when I came home. The concerns for my kids and aging parents were big. The struggles of relationships were wearing me down. The crisis from the families I work with were hard to forget. Trying to be there for everyone added another shell that stuck with me. Turns out, I wasn’t really managing all that well. What about you? What is your life looking look like these days? Do you have all kinds of things stacking up on you that feel heavy? Maybe some things you aren’t even aware of? Are you needing some time for you? Everyday leaders have to be aware of when we need time away. Then we must intentionally choose to take that time away, knowing when we do we are working to be our best selves to make the greatest difference in the lives of those around us. It is all about choosing to be our best selves, to make a difference. Everyday leaders work hard to take the time BEFORE the shells before to stack up and weigh you down – choosing to be our best selves! Growing up in the middle of rural Nebraska the view often looked like this. Regardless of which direction you looked, there wasn’t much to see but roads that appeared to have no end, with no houses in sight. As a kid, I longed to live in town and be closer to other kids and stores and swimming pools. Now as an adult, I realize just how good I had it growing up in the carefree world of the country. I love the wide-open spaces and would jump at the chance to back there. When I return now and see the never-ending roads, I am reminded of the roads we travel in our lives…..and the perspectives we have when we are traveling. There are times when it seems like the journey we are on is so terribly long and lonely that we are tempted to look for a short cut or maybe to quit altogether. I think these are the times we forget to reach out to others and ask for help or encouragement along the way. We somehow think we need to carry our load alone. When was the last time you asked for help from a friend? Other times, we simply haven’t prepared well for the journey. Have we taken the time to care for ourselves? Are we in shape physically? Have we eaten well? When was the last time you slept a good eight hours? What about our family relationships? How about spiritually? Even financially? Taking care of us, means EVERY area of our lives. It means being our best selves to walk our journey and not having to worry. Maybe, we simply get discouraged because we have forgotten how to be thankful for all that we have along the way – we even forget to look out the window and see the beautiful view. I am amazed at how different I am when I take the time to be grateful for all that God has done in my life! What are you thankful for today? List them! Do this everyday. What is going on in your life right now? Are you on a journey that is exhausting? Are you stuck somewhere and not even moving? Everyday leaders choose to take time each day to reflect, making sure we walk the journey with confidence – knowing we are given a gift to influence the lives of others each day along the way! 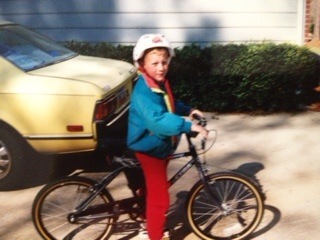 Remember what it was like learning to ride a bike? You would fall over again and again. Yet somehow, you managed to dust yourself off, bandage the knee if necessary and get back on the bicycle. It worked and you got it! Our lives are a little bit like riding a bike. There are certainly times in my life that I have felt like I was never going to make it through what I needed to, or learn all that I should. The task seemed too great. The situation seemed too hard. The boss was simply too difficult. Yet, somehow it all worked. The task got done. There was enough time. I managed to make it through a boss that was difficult or a situation that seemed all to hard to master. I made it through. One step at a time. One day at a time. Are you in one of those situations now? Does it feel overwhelming? Do you wonder if you will make it? You will. Don’t lose courage. It’s what everyday leaders do. We do it because we know that as we walk the journey that God has set before us; making it through matters not just to us – but to those around us. God has given us our circle of influence; no matter how big or how small, it is still our circle to touch. Go on. Persevere. Keep going. Stand strong. Get back on the bicycle. Knowing that as you do, you are modeling for those around you to do the same. Every day leaders-making a difference in the lives of those around us by getting back up even when it seems too hard!